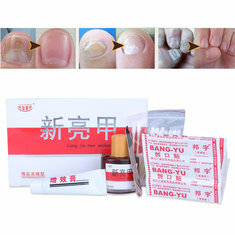 Stopping toenail fungi from spreading to your other nails is an exercise in dealing with a contagious situation. Yes, the fungus is contagious and if allowed it will take hold and infect other nails on your feet and hands. The fungus, like any living thing proliferate and take as much room as you permit it. What you want to do is lower the risk or potential risk of the fungus moving to new nails on your hands and feet. This isn’t to say that you are definitely going to have the fungus problem on every nail but it’s important to be aware of the risks and take precautions. A safety precaution to avoid the spread of toenail fungus to your other foot nails is to sterilize and sanitize the nail clippers or scissors used for nail care, to cut the infected toenail. A good solution is to soak them in alcohol or in a water solution with bleach at a ratio of 1 part bleach in 10 parts boiling water for 10 minutes. The first thing you should do is get yourself a box of latex gloves. Most drug stores and many supermarkets carry these disposable gloves in 100 count boxes. Whenever you handle the infected area like administering treatment, applying medications etc, wear gloves. This will lower the risk the infection getting a hold of another nail. Next, after bathing etc, where you have washed your feet, you may want to then wash your hands with one of the newer disinfectant soaps. While it’s not common for the fungus to transmit after a bath and no studies or research has been done to verify this transmission method, a simply hand washing is good insurance none the less. There are many home remedies and medical cures or treatments for Onychomycosis that claim to work. Some are based on age old remedies while others such as Listerine® for toenail fungus are tried more out of exasperation. The problem is that all Onychomycosis is recognized by everyone including the medical profession as being chronic in nature. This means that it’s difficult to cure and the likelihood of it returning is great. So even with the best home cure or most expensive prescription medications on the market, you may be living with this problem for years to come. There is a lot of information and statements of a toenail fungus and vinegar. The idea is that using vinegar changes the environment of your nails so that it’s less likely to become a host for the fungus. The thought is very similar to the fact that certain plants prefer acidic soil while others do not. Change the acidity in the soil and certain plants cannot live. Change the acidity of your feet or body and the fungus cannot live. So to limit toenail fungus spread, you may want to consider putting a natural, not processed vinegar on your healthy nails. Simply get a bottle of unprocessed vinegar from the health food store and fill a small spray bottle with the liquid. After a bath or during your nail treatment routine, spray your nails with the vinegar and let dry. You can even spray the infected toenails because the vinegar will not change the cream, oils or ointments you may be using to clear up the problem. Lastly, stopping toe nail fungus from spreading means that you should limit contact of the infected nail with healthy ones. You can do this by keeping a flexible bandage or band-aid® on the infected nail. By covering it, the amount of exposure to the healthy nails is reduced. For extra protection, place a small dab of disinfectant ointment or spray with the vinegar. 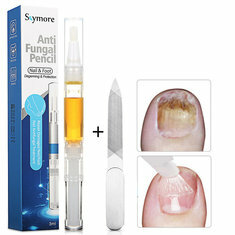 In the end, clearing up toe nail fungus requires consistent efforts and treatment on your part. Toe Nails are not alive which means that even though you have the fungus under control, you need to grow a new healthy nail while protecting it from the fungal infection of the old nail material. 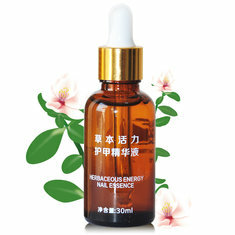 An effective natural remedy for nail fungus treatment uses a two step process to attack the fungus by changing the living environment on your nails then protecting new nail growth with antiseptic, deep penetrating oils. No matter what you do, it’s important to limit the spread of Onychomycosis to just the infected area as much as possible. A natural home remedy that uses the sum knowledge of treatment passed down by previous generations is safe, effective and much less expensive than prescription drugs to treat nail fungus.